babus of india: Coming Soon: 2011 batch IAS Vijayakarthikeyan’s fiction, "Once upon An IAS Exam"
Coming Soon: 2011 batch IAS Vijayakarthikeyan’s fiction, "Once upon An IAS Exam"
Commissioner, Coimbatore Municipal Corporation. “My First English Fiction ONCE UPON AN IAS EXAM is releasing this October !…” the officer posted in a social media site recently. In Twitter, Vijayakarthikeyan describes himself as a writer, doctor, cartoonist and bureaucrat. The officer is 32 years old. He has earlier authored three books, all in Tamil — Ethum Doorathil IAS, Adhuvum Idhuvum and Orey Kallil 13 Maangai. His private passion includes cricket. 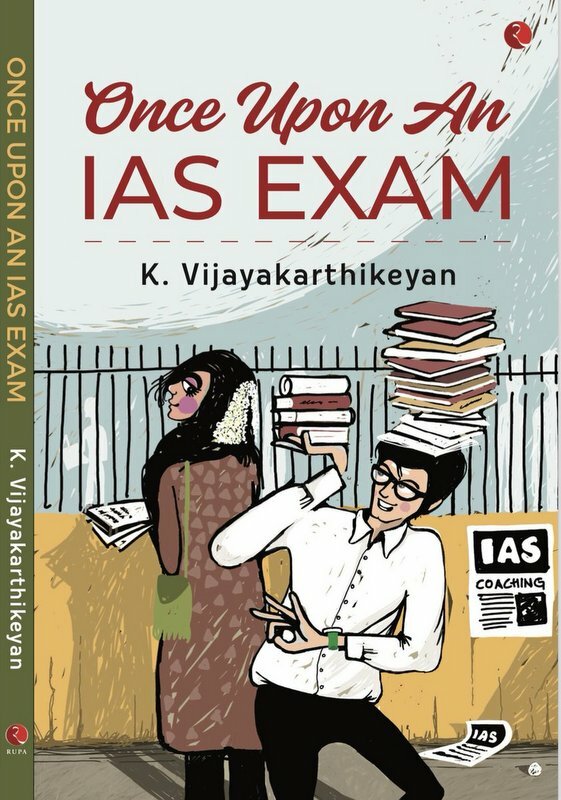 In the forthcoming book, “Once upon An IAS Exam”, the protagonist — 25-year-old Vishy tries to overcome the uncertainty and confusion about his future after the initial failure to crack the IAS exam, and figure out ways of convincing Rithika to marry him. He then makes yet another attempt for which he enrols into a coaching centre in Chennai's Anna Nagar. Will Rithika accept Vishy's love?